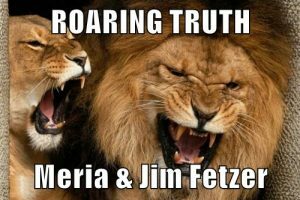 5/22/18 Roaring Truth, with Meria and Jim Fetzer. Moving into total fascism and censorship;Pompeo’s “speech” on Iran;trump demonized and demonizes; trump is a tool for Israel following Israel on foreign policy; isolating us from our allies; cops trained in Israel;Sante Fe Shooting, Boston, 9/11, Sandy Hook , Vegas;coming for your guns; guns and national security; what’s the answer? Wesley Clark on the 7 countries to be invaded;Embassy in Jerusalem;slaughter of Palestinians;Iran nuke deal;No.Korea and Bolton, China & N.Korea playing trump;PNAC;Putin’s weaponry;Sweden leafletting;Snopes a Cia Operation? FakeNews? since the 70’s and more stuff.